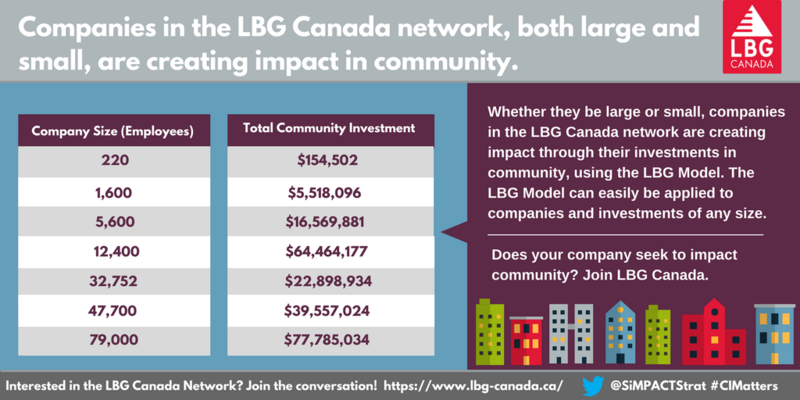 Whether they be large or small, companies in the LBG Canada network are creating impact through their investments in community, using the LBG Model. The LBG Model can easily be applied to companies and investments of any size. Does your company seek to impact community? Join LBG Canada.